When in doubt, more greens; that’s my dietary mantra. If you’re new to green smoothies, fear not! This smoothie tastes like pineapple and banana with a touch of spiciness from the ginger. Although you can hardly taste the greens, it’s a great way to get more greens into your daily grind. 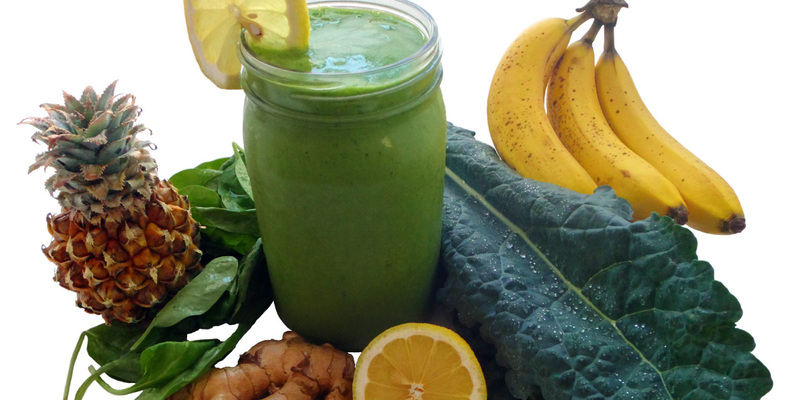 Turbocharge your mornings and get into a routine with this epic green smoothie! Unlike coffee, this smoothie will give you loads of sustained energy and keep you sharp throughout the day.